One-handed ex-jockey Sid Halley works as a private detective, using his racing knowledge to solve crimes that baffle the police. 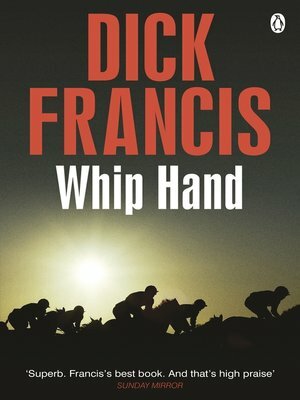 In Whip Hand, Sid is asked to investigate possible doping of the horses of thoroughbred trainer George Casper - whose once-successful mounts have been failing spectacularly on the race track. At the same time he learns that a conman has left his ex-wife Jenny facing a jail sentence over a fake charity, while the Jockey Club want him to look into certain powerful syndicates who may be acting in a ruthless and illegal manner. Quickly, Sid discovers that each of his investigations is entirely unwelcome. But he isn't put off easily - not even when a threat is made to take off his remaining good hand. Three dangerous cases, three ways to die - Sid is back on home turf . . .